As the Blackmagic Pocket Cinema Camera’s use and popularity continues to grow (we used it quite a bit ourselves to cover NAB), more and more varied accessories are being made. Enter Redrock Micro’s fascinating retroFlex camera rig bundle. 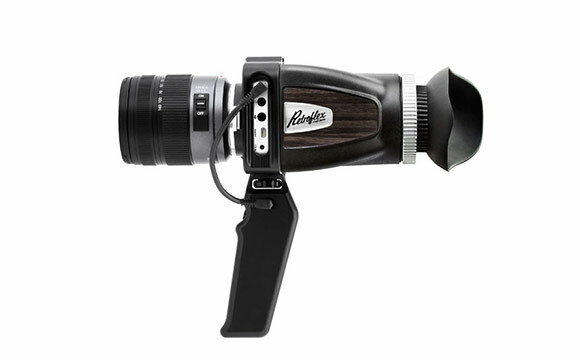 “[Evoking] a retro style of filmmaking, when it was all about the film”, the retroFlex come with a removable handgrip with start/stop trigger, camera cage with mounting points, wireLock accessory to secure cables, and a viewfinder. All of these pieces come together to form a rig that’s practical and easy to handle. Redrock’s Brian Valente explains the reasoning behind the retroFlex’s creation, “We saw a lot of people doing cages and kits to convert [the Pocket Cinema Camera] to shoulder mounts, and it really didn’t feel like the kind of shooting style that we wanted to see in a camera this size”. So they created a more compact rig reminicesnt of Super 8 cameras to keep the entire set up as light and compact as the Blackmagic Pocket Cinema Camera itself. The retroFlex will be about $495 for the full kit and be available sometime this month. 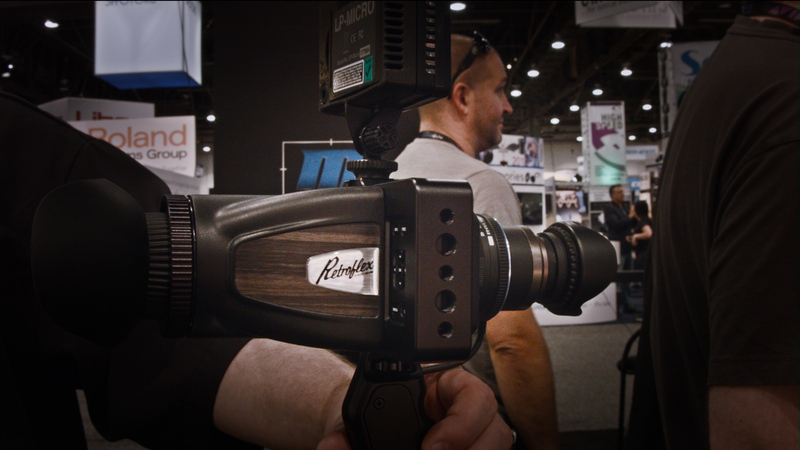 For more information you can go to RedrcokMicro.com, as well as visit them at this year’s Cinegear Expo in booth #30.